An international company venturing into Canadian water with its business operations can get into trouble with Canadian payroll laws. The laws are strict and complex, and it can be easy to make innocent payroll errors when trying to pay Canadian workers. However, innocent or not, these mistakes can lead to heavy penalties and fines, which, naturally, every international company wants to avoid at all costs. Getting into legal trouble when it comes to Canadian payroll laws can cost you an arm and a leg, and make it fiscally impossible to continue to employ workers in Canada. Here are three reasons why an international company can get into trouble with Canadian payroll laws, so you can take a proactive approach at being compliant and avoid making costly errors. Often, an international company will think that all it has to do to pay Canadian workers is to convert the funds to Canadian, cut them some cheques, and mail them out. However, misclassifying your employees to save yourself the trouble of dealing with payroll laws can be a fatal mistake. Taking the easy way out is illegal and will lead to costly repercussions by the government if you get audited, even if you simply took this route out of ignorance or unfamiliarity with the foreign legislature. As a business operating in Canada, you’re required to know the ins and outs of the Canadian payroll laws. Ignorance and unfamiliarity are not legitimate reason to make payroll compliance and employment standards errors. So you’ve read the Canadian payroll legislature and you think you have a good grasp on the terms, language, and requirements. This is a great first step to compliance, but you can still run into some trouble from lack of experience. If you’re just starting out in the country, you likely don’t know how each of the laws you’ve read about apply to your specific situation, and even if you do, you might be unsure about how and when to register your accounts, send your remittances, or perform your taxes. The laws vary by province, so it can be difficult to keep up to date with exactly when and where you need to be sending payroll information to the government. If you miss out on a deadline simply because you didn’t realize there was one, you could still get into trouble. Experience with payroll laws takes years to acquire, so it’s natural that an international company won’t have all the experience needed to apply the correct laws to the correct situations right away. Keeping up with payroll legislature takes vigilance. The laws change frequently and you need to be on top of the updates to ensure you’re always compliant. What’s more, you need to track and maintain various accounts to stay current. If you’re not working on your payroll attentively, you can easily miss a deadline for an account, lose track of hours or vacation days, or misclassify employees. Attention to detail and careful consideration are vital to your company’s payroll success. If you’re operating on Canadian soil and using Canadian workers, you need to be intimate with the payroll laws of the country. Not knowing them, understanding them, or implementing them properly within your payroll system can get you into trouble with the government authorities, which can cost you a lot of money in fines. To avoid any legal ramifications due to your payroll processes, make sure you read the appropriate laws for your company, get experience in order to understand the laws better, and vigilantly stay on top of your payroll processes. When your Canadian payroll calculator lets you down, it can be a complete catastrophe, or a complete non-issue. It all depends on your knowledge, your experience, and the precautions you’ve taken. If you lack the right knowledge and experience, and haven’t taken any precautions, then the loss of your Canadian payroll calculator could cost you fines, back payments, and even criminal proceedings. A Canadian payroll calculator can be a useful tool but, like any tool, it can eventually break down. When that happens, you won’t be able to tell the CRA that your payroll calculator was out of commission. They don’t care why mistakes are made, they only care that you pay for your mistakes. It’s unlikely that a Canadian payroll calculator will ever just stop working. More than likely, you’ll make a small error or oversight when entering numbers, and the calculator will have no way of letting you know that your numbers aren’t correct. You see, a calculator just crunches numbers. It doesn’t interpret laws or regulations, and it doesn’t assign worker classifications or check their tax status. All the calculator can do is take the numbers you give it, and provide you with an answer based on those numbers. If you make any mistakes along the way, the calculator will give you an incorrect answer without any indication that a mistake was made. To avoid making mistakes when using a Canadian payroll calculator, you need an intimate knowledge of, and experience with, Canadian payroll laws. That knowledge comes only from years of payroll processing experience. 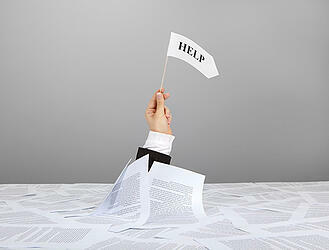 That experience comes from years of working with and interpreting payroll laws and regulations. With time, money, and patience, you can get that knowledge and experience for yourself. Of course, that won’t leave much time for other tasks, like running a business. As with most business related tasks, there is an easier, completely legitimate way to avoid problems with your payroll calculator. You can outsource your payroll calculations to a professional payroll service provider. A payroll service provider, like The Payroll Edge, employs teams of people who have the knowledge and experience to keep your payroll calculations free of errors. Their payroll services include everything from withholdings and remittances, to employment contracts and verification services. The Payroll Edge can handle as many or as few of your payroll and administrative tasks as necessary, freeing you to focus on your core competencies. You’ll also be able to focus on your business, free from worries about audits, fines, and back payments caused by small mistakes in your calculations. 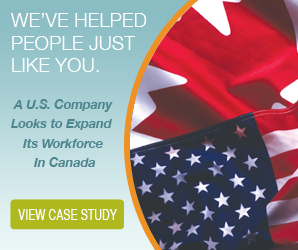 As a US-based business, you may be considering an expansion into Canadian markets. While that’s a great idea for your future growth, there are some pitfalls that you should be aware of. A lot of US businesses get into trouble trying to deal with Canadian payroll laws. Like US laws, Canadian payroll laws are complex, voluminous, and require a great deal of education and experience to navigate successfully. Companies that fail to navigate those laws can face considerable fines, penalties, and back payments. Worse yet, some businesses choose to bypass Canadian payroll laws, leading to criminal penalties in addition to those fines. While there are many ways for US businesses to get into trouble with Canadian payroll laws – ignorance and worker misclassification are two of the most common pitfalls. Canadian payroll laws are every bit as complex as US laws, but that’s where the similarities end. Despite our many cultural similarities, Canada and the US have distinctly different legal systems. Learning the rules of Canadian payroll law takes a considerable investment of time and energy, and still doesn’t guarantee an understanding of how those laws are applied in the field. As with any laws, the written word of Canadian payroll laws can differ greatly from their practical application. The only way to learn those differences is through experience. US businesses may not have a lot of opportunities to gain the necessary experience, especially if they’re managing a Canadian presence from inside the US. 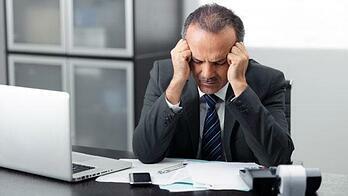 That lack of experience can quickly lead to problems with the Canada Revenue Agency (CRA). During your expansion, those problems can cause delays and extra costs. After your expansion is completed, any problems can lead to large fines, as well as back payments to employees and government agencies. In extreme cases, your Canadian presence could be shattered, and you could lose the privilege of operating in Canada. Some US businesses think that the easiest way to deal with Canadian payroll laws is to simply not deal with them. They hire Canadian employees as independent contractors, pay them directly, and leave it to the individuals to take care of their own payroll obligations. This may appear on the surface to be an easy workaround, but it’s also completely illegal. Canadian law is very clear on who qualifies as an independent contractor, and under what circumstances their services can be used. If you truly need the services of an independent contractor, then you’re in the clear. However, if you’re found to be using the independent contractor classification to avoid Canadian payroll laws, there’s a good chance you’ll be facing criminal penalties. Typically, when a US business gets in trouble with Canadian payroll laws, it’s because they’re looking for an easy way to do things. Often, these businesses overlook the easiest legal way to navigate Canadian laws. With the help of an Employer of Record (EOR), like The Payroll Edge, you can quickly hire and pay Canadian employees, without the hassle of learning new laws, and without the risk of trying to bypass those laws. The suite of EOR (Employer of Record) services offered by The Payroll Edge includes everything from payroll filing and remittances, to workplace safety compliance. They can help you establish, operate, and maintain your Canadian expansion. Thanks to their highly trained and experienced staff, they can ensure that your expansion adheres to all relevant statutes, and operates well within the limits of the law.